This week is Apple Week in our house! I am using this theme to work on some fun activities that both of my kids can enjoy, teach the letter ‘A’, and as a fun beginning to Tot School with Ava as her big brother began his first full week of Preschool this week! 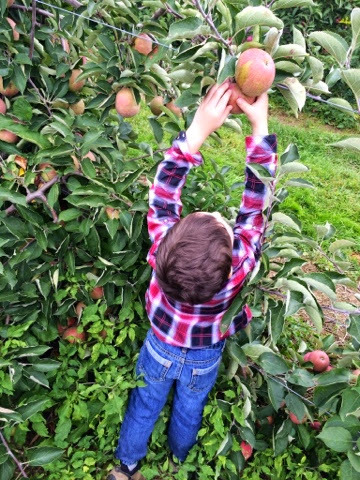 We started the week with some apple picking at our favorite local orchard. 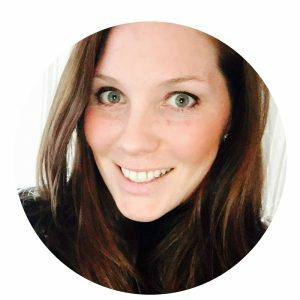 I love to begin themes with fun hands-on activities as it really seems to get the momentum going. 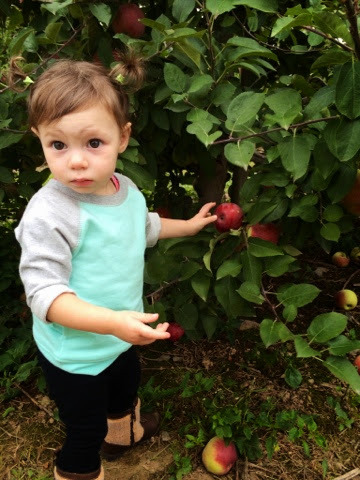 We picked Empire apples for snacking on and Winesap apples for baking. 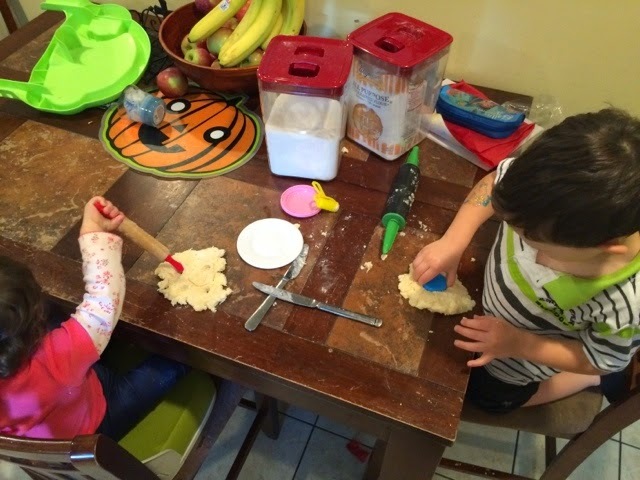 My kids love to help in the kitchen and baking is SO good for working on beginning math skills such as measuring as well as gross motor skills such as stirring and rolling. 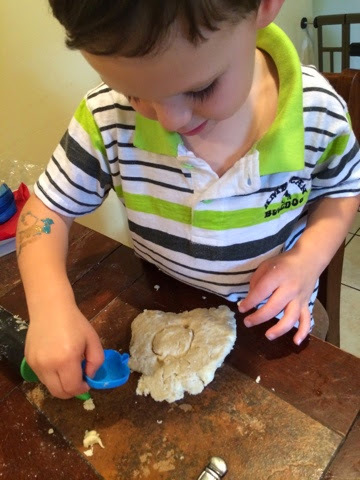 We love to make homemade playdough at home, so why not pair our pie baking with some great sensory play?! 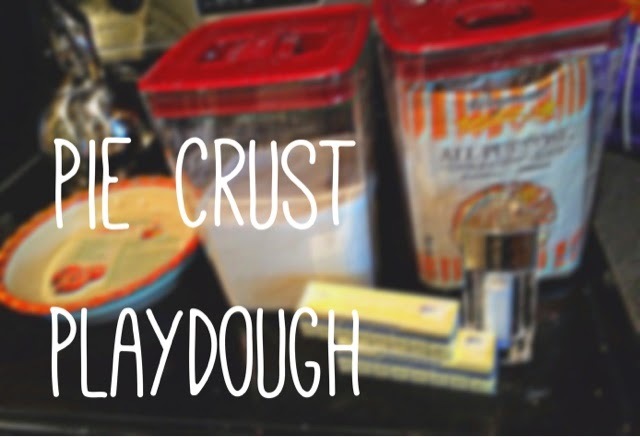 Cut the cold butter into the dry ingredients, add the water and knead gently. 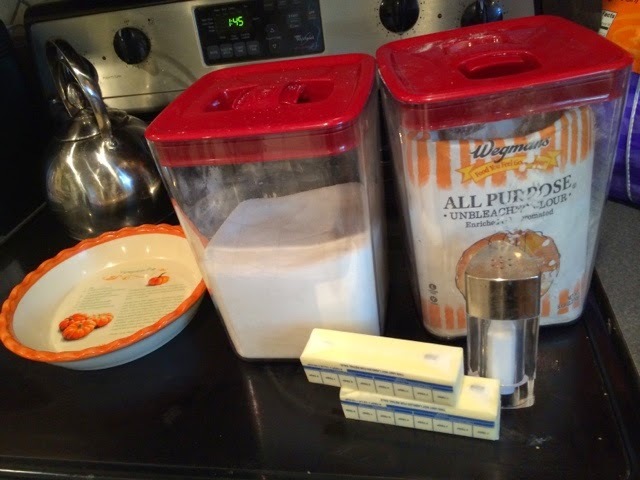 We doubled the recipe and then set half of the mixture away for our pie crust and then used the other half of it for play. Once we had our play mixture set aside, we added some cinnamon and nutmeg to give it an apple pie scent. 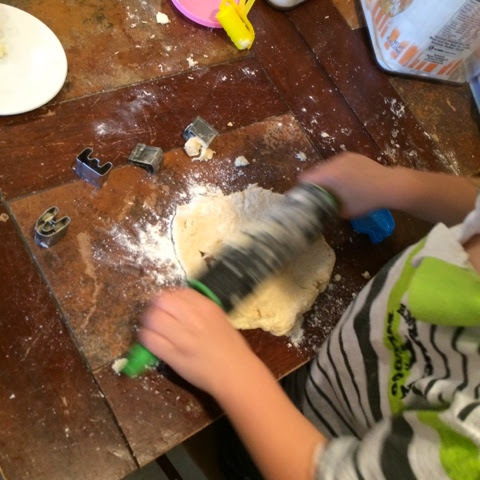 The kids used rolling pins to flatten their dough for pretend crusts and then an apple cookie cutter to make the apples for the pie filling. We had such a fun afternoon baking and playing! 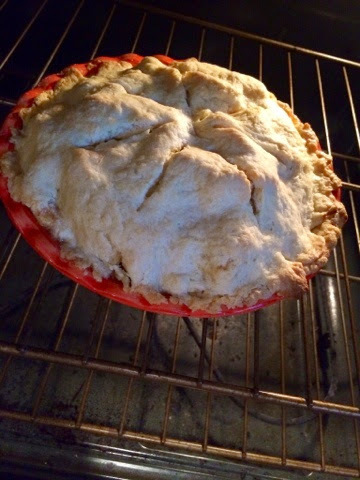 I loved how the activities worked so well together….and we got to eat some yummy pie at the end of the day. Can’t beat that! Happy Fall, and Happy Apple Week!